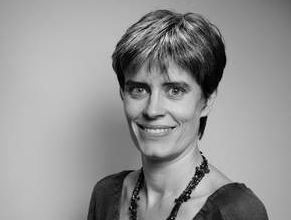 Véronique Dudouet is Senior Researcher and Director for the Programme ‘Agents of Change for Inclusive Conflict Transformation’ at the Berghof Foundation in Berlin. Since joining the Berghof research team in 2005, she has been coordinating various research projects and peer-support projects on/with ‘resistance and liberation movements in transition’. She has also been carrying out consultancy activities for various state and international agencies (including UNDP, EU Parliament, Norwegian Foreign Ministry), and facilitates training activities on peace negotiations and political capacity-building. She teaches modules for students and practitioners on various topics linked to non-state armed groups, civil resistance, conflict transformation, DDR and post-war governance. Véronique currently edits the Berghof Transitions publication series. She has published two edited books, several peer-reviewed articles and numerous publications in the field of conflict transformation. She has an MA and PhD in Conflict Resolution from the University of Bradford, UK, as well as a BA in political science and a postgraduate research diploma (DEA) in International Relations and Security from the Institut d’Etudes Politiques, Toulouse, France.